Earthy, fragrant and delicious, there are few things as evocative of the sun on your skin as the scent of ripe figs. And as I'm just back from my holliers (waaaaaah! ), I need all the reminders I can get - right now I'm crushing on these three variations on the theme. If you have any figtastic suggestions for me, do leave 'em in the comments! I adore Figs both as a scent & to eat!!! This items look so lovely! I've always wanted to try this brand. 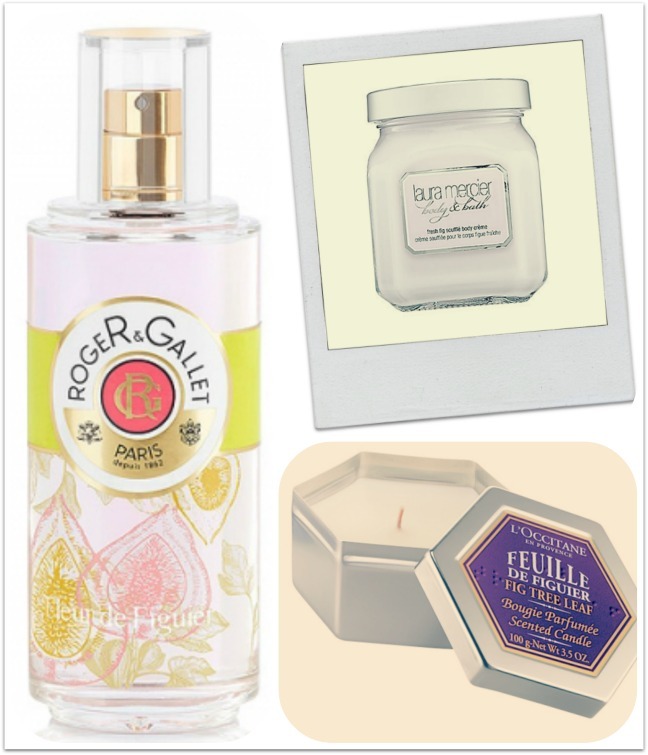 I have the Laura Mercier though and adore it - that L'Occitane candle shall be mine! I must try these! I love fig products. I adore the Roger & Gallet fig range, I rarely buy a full size of anything after I get a sample but I bought a bottle of that fragrant water, it's unbelievable. So unique! Love the fig essence for fall! I agree that fig is a great scent! I love candles with a fig scent for fall. I've been loving fig scents lately. Marks & Spencer does an amazing hand cream for £1.